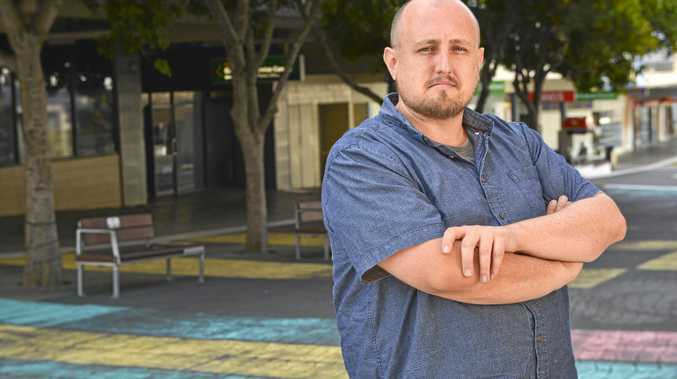 IMPORTED sandstone should be removed from the redeveloped CBD and replaced by clay pavers in a tribute to Ipswich's rich mining history, a business owner believes. Ipswich City Council has released an expression of interest for companies to supply pavers for the mall upgrade. According to the EOI, pavers are envisaged to be of natural stone including; bluestone, granite light, limestone, sandstone and exposed aggregate concrete. The call for natural stone has frustrated Joe Andersen, the general manager of Dinmore business Claypave. Mr Andersen said he has paid thousands of dollars worth of rates to Ipswich City Council and employed hundreds of local people. He said the council should use local products for its mall development. "I just paid a $28,000 rates bill,” he said. "I'd like to see some of that come back or stay in southeast Queensland. Mr Andersen said clay pavers should be used in Ipswich, "a town built on the coal mines where the clay came from in the first place”. "Ipswich is all about coal mines and clay. A spokesman for Ipswich City Council said the request was only "an Expression of Interest before any material is purchased”. "The EOI has been released nationally and all respondents will be considered as is the function of an EOI,” he said. "Stone was the material specified by the architect and is consistent with other major city malls in Australia. Mr Andersen hoped they would assess all submissions.